Conventional sock wisdom dictates that you can either have padding for protection and comfort or two layers for reduced friction. The Fusion Walk Sock from 1000 Mile breaks that mould with innovative design and material technology. 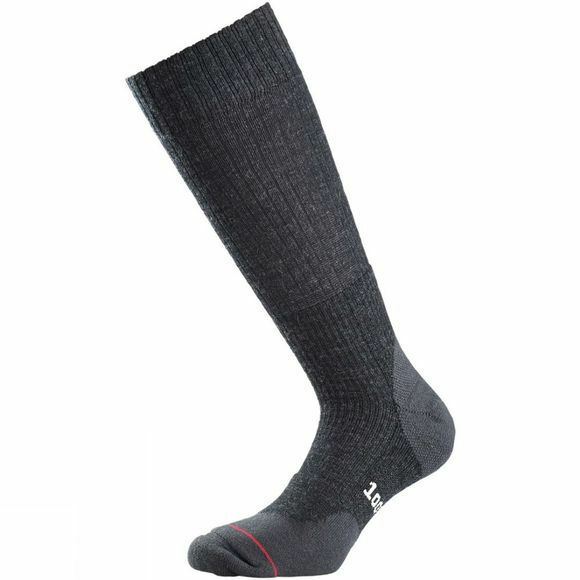 This sock is the first of it's kind that offers not just the 1000 Mile double layer sock's BLISTER-FREE GUARANTEE but padded comfort zones on the heel, toe and Achilles tendon. The padding combined with the high volume Merino wool give warmth and volume perfect for Autumn/Winter right through until Spring. Just what you need when you're in the thick of it. Outer: 40% Merino Wool, 29% Nylon, 23% Polyester, 6% Cotton, 2% Lycra.